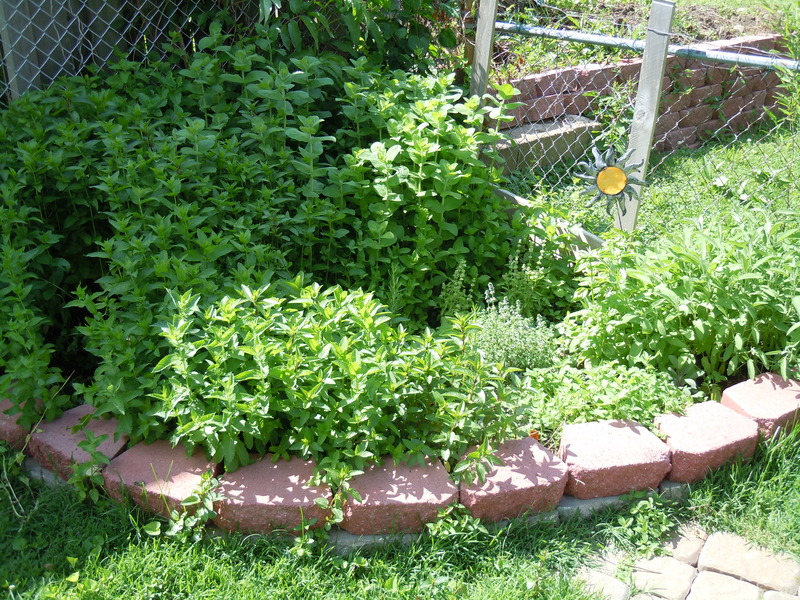 This top picture is our herb garden, though I should call it a mint garden. Over 50% of it (that tall stuff all along the back) is all mint which despite transplanting to other beds for filler and giving it to the neighbors and coworkers by the handful, still comes back bigger every year. Besides the mint, we have two kinds of basil and two kinds or rosemary, lavender, and sage. 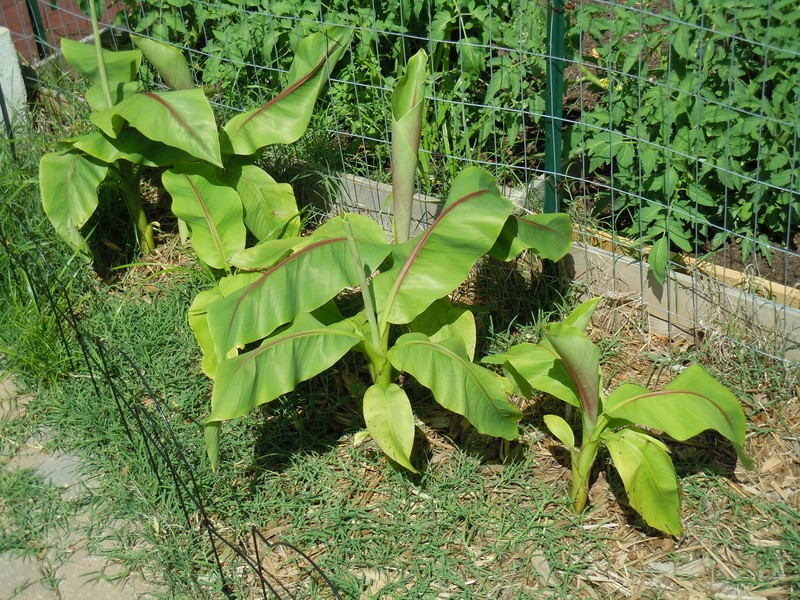 The bottom pic is our banana trees. We used to have the kind you had to dig up every year during the winter, but I got tired of those. These come back every year. They were added next to the vegetable garden last year and we were so glad to see them sprouting up this year. They will triple in size as summer gets hotter. A mother rabbit has also made a nest beneath them.